Rex London is proud to partner with Make-A-Wish® UK. This limited edition bag has been exclusively designed by renowned children’s author and illustrator Neal Layton. Sales of this bag will raise at least £10,000 for the charity, helping them to create life-changing wishes for children with critical illnesses. 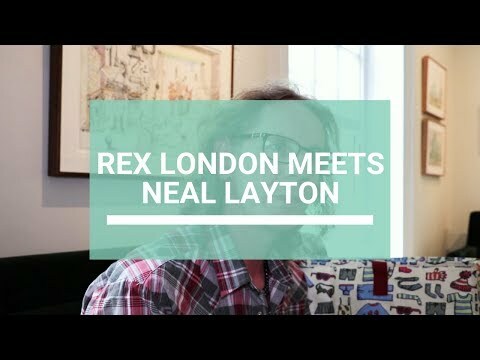 Neal is an award-winning illustrator and author of children's books. He has illustrated more than 80 titles to date, working with authors such as Michael Rosen and Cressida Cowell (How To Train Your Dragon), and won several prizes including a Gold Award for 'That Rabbit Belongs To Emily Brown’. 100% of the proceeds from the sale of this bag will go directly to the charity. A large, very sturdy looking storage bag. Using to store wool, and purchasing the bag helps a worthwhile cause. Great bag for storage of bulky items.